UPDATE JULY 15, 2010, 3 P.M.: ODFW ANNOUNCES THE NEARSHORE HALIBUT FISHERY WILL CLOSE SAT., JULY 17 AT 11:59 AS THE QUOTA WILL HAVE BEEN REACHED. Tuna within 30 to 40 miles of shore and walleye to 10 pounds in the John Day Pool are among the highlights for Oregon fishermen. But Chinook fishing is beginning to ramp up in Rogue Bay, bass and walleye fishing is improving in the Multnomah Channel and trout fishing in Central and Northeast Oregon rivers and lakes is good. Chinook fishing is picking up in the Rogue River estuary with most fish being caught 1 or 2 hours on either side of high tide. Bass fishing has been improving throughout the mainstem of the Umpqua River. With the onset of warmer temperatures trout fishing is slowing down in many area lakes and ponds. However, fishing will continue to be good for bass and warmwater fish. A few spring chinook are still being caught in the lower Willamette and in Eagle Creek. Now is a good time to target bass and walleye fishing on the Multnomah Channel. Summer steelhead and spring chinook have moved into the North Santiam River around Stayton. Good catches of kokanee have been reported recently on Green Peter Reservoir. Summer steelhead are showing up in the Willamette River town run between Springfield and Eugene. Trout stocking of most local valley lakes and ponds has come to an end for the summer due to warm water conditions. Lower and mid-elevation Cascade lakes are still being stocked and provide a good opportunity for trout fishing. According to recent creel surveys, trout fishing on the Crooked River has been excellent throughout the day. Trout fishing on Crane Prairie Reservoir continues to be very good. Trout fishing has been good in Balm and Thief Valley reservoirs. Fishing in the high Cascade lakes for brook trout remains excellent. 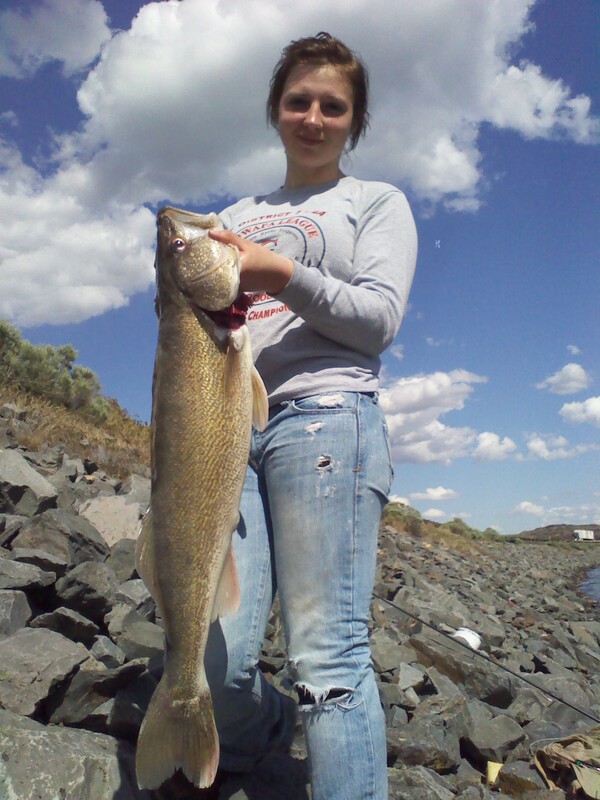 Fishing for both rainbow and brook trout has been good on Grande Ronde Reservoir. Smallmouth bass and channel catfish fishing has been good on the John Day River – though the bite may slow if temperatures remain high. Brownlee: Crappie spawning has slowed but good fishing is available. Fish very early morning or late evening. The fish are deep in the middle of the day (25-70 feet) and the bite is very light. Use 4 lb test and an ultra light rod. Use jigs with a crappie nibble (motor oil, red and whites have been good lately). Night fishing with lights is producing good catches. Bass are biting but are fairly small. Some large catfish are being caught using cutbait, worms or stink bait. Trolling for trout is fair. The reservoir is full. Call Idaho Power Company’s recording at 1-800-422-3143 to get information on access at recreational sites or visit their Web site under the “Rivers and Recreation” heading. Effective June 26 angling is open for adipose fin-clipped summer chinook, adipose fin-clipped summer steelhead, and sockeye from the Astoria-Megler Bridge upstream to the Oregon/Washington Border. The summer steelhead run is making a strong early showing at Bonneville Dam. Look for summer steelhead near the mouths of cooler tributaries as the water temperature in the Columbia continues to rise. Sturgeon fishing is good near Astoria. Sturgeon retention is open seven days a week from Thursday, July 15 through Sunday, August 1. The walleye fishing has been good in the John Day pool where anglers are finding lots of walleye — many in the 10-pound range. The best lures have been spinner and worm combinations and blade baits. Anglers targeting tuna found the fish between 30 and 40 miles offshore. Tuna catches landed in ports on the central coast averaged between four and five fish. Anglers fishing Cape Falcon to the Oregon/Washington border are now allowed to keep up to two chinook salmon in the bag limit. Daily bag limit is now two salmon per day, and all retained coho must have a healed adipose fin clip. Fishing for marked coho south of Cape Falcon to the Oregon/California border opened Saturday (June 26). Only about one angler in 10 were successful at landing a coho last week. Only marked coho (all coho must have a healed adipose fin clip) may be retained. That season will run through Sept. 6 or until the quota of 26,000 marked coho is met, which ever comes first. The bag limit is two salmon. Fishing for Chinook was slow again last week with fewer than one in seven anglers landing a fish. The “All Salmon Except Coho” salmon season from Cape Falcon to Oregon/California border opened May 29 and runs through Sept. 6. Bag Limit: Two salmon. The near-shore (inside 40 fathoms) halibut fishery between Cape Falcon and Humbug Mountain is remains open with more than 30 percent of the quota remaining. Fishing for lingcod remained at about one fish for every two anglers targeting lingcodSuccess in catching lings and most other bottom fish improves as waves moderate. Fishing for rockfish slowed down this week. One possible explanation is that there are many small food fish in the water. Many anglers report that the rockfish they do catch are stuffed with smaller fish. The annual conservation closure north of Tillamook Head to protect newly set razor clams begins July 15 and continues through Sept. 30. Since 1967, ODFW has closed the 18 miles of beaches in Clatsop County to razor clam digging on July 15. The closure is to protect newly-set young clams that are establishing themselves on the beach during this time of the year. The Oregon Department of Agriculture closed all recreational razor clam harvesting from Coos Bay to Bandon last month and extended the closure on July 2 north to Tillamook Head north of Cannon Beach due to elevated levels of domoic acid. Razor clamming remains open north of Coos Bay and south of Bandon. July has two minus tide series in the mornings: July 8-16 and 21-29 for bay clam diggers. Mussel harvesting is open on the entire Oregon coast, from the mouth of the Columbia River to the California border. The consumption of whole, recreationally-harvested scallops is not recommended. However, coastal scallops are not affected by toxins when only the adductor muscle is eaten. This entry was posted on July 14, 2010 at 5:18 pm and is filed under HEADLINES. You can follow any responses to this entry through the RSS 2.0 feed. You can leave a response, or trackback from your own site.